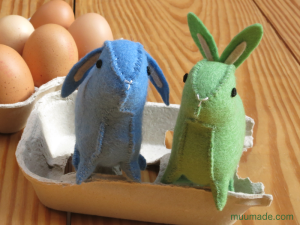 Muumade’s A Little Felt Duck is a sewing pattern & tutorial to make the adorable waterfowl that we are all familiar with. The finished Little Felt Duck measures approximately 9 cm (3 1/2″) high and is about 10 cm (4″) long from its bill to its tail. 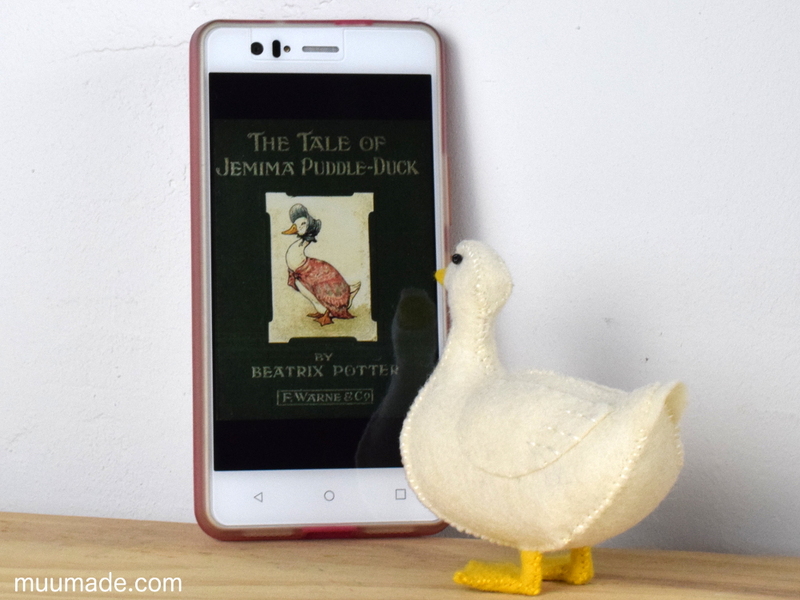 Perhaps the most famous fictional duck characters are Donald Duck and Daffy Duck, but Jemima Puddle-Duck from Beatrix Potter‘s classic story was what came to my mind when I first thought of designing a felt duck. 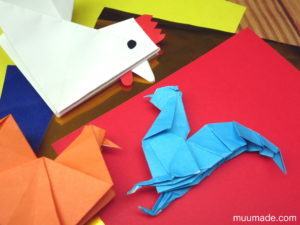 So, as you can see above, the first duck that I made was white (an Aylesbury duck). But, of course, ducks come in a wide variety of colors. The most common type of duck in the world seems to be the Mallard, which explains why many emojis depict this duck! Male Mallards are especially pretty with their iconic dark green head, white neck band, brown breast and tan body. 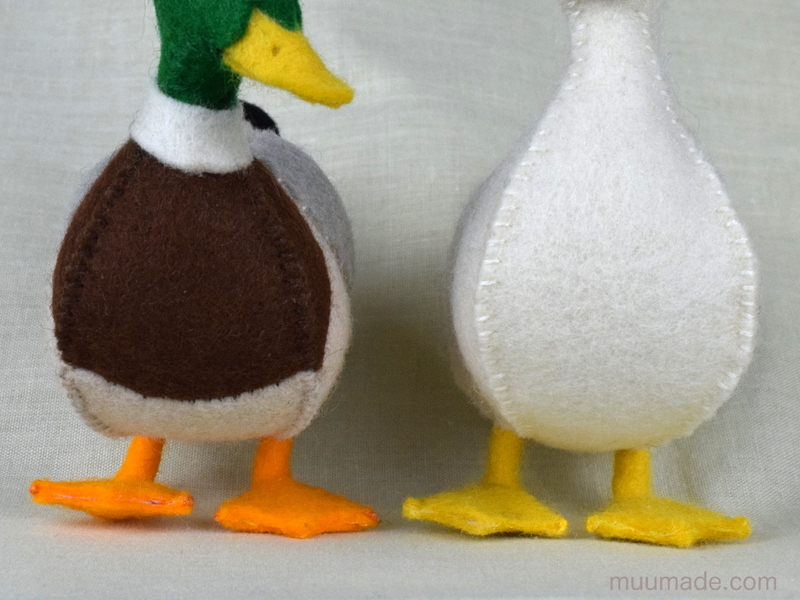 The pattern of A Little Felt Duck can be used to make either single-colored ducks or Mallards. 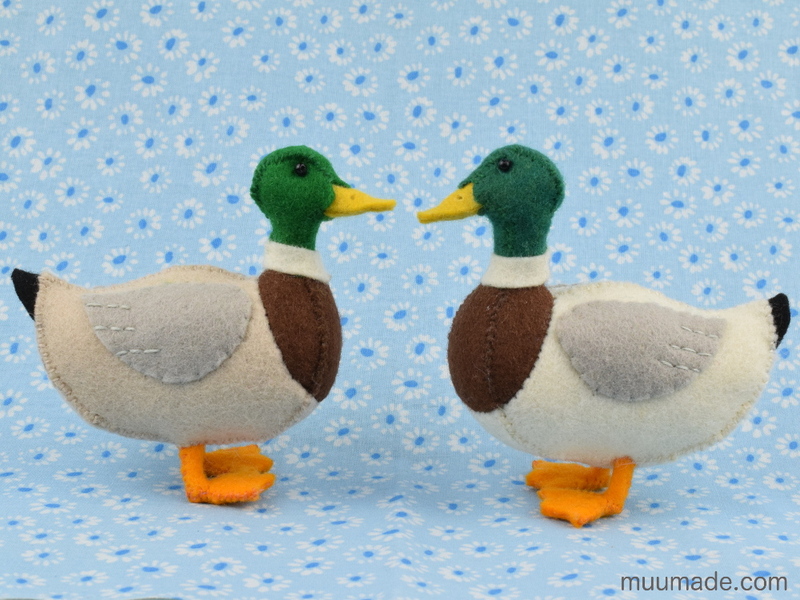 The only difference is that making a Mallard requires more detailed cutting and sewing! And, if you want to create a different kind of duck, you are more than welcome to adjust the pattern accordingly. 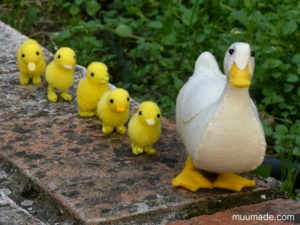 The size of the duck can also be altered by scaling the pattern when printing! 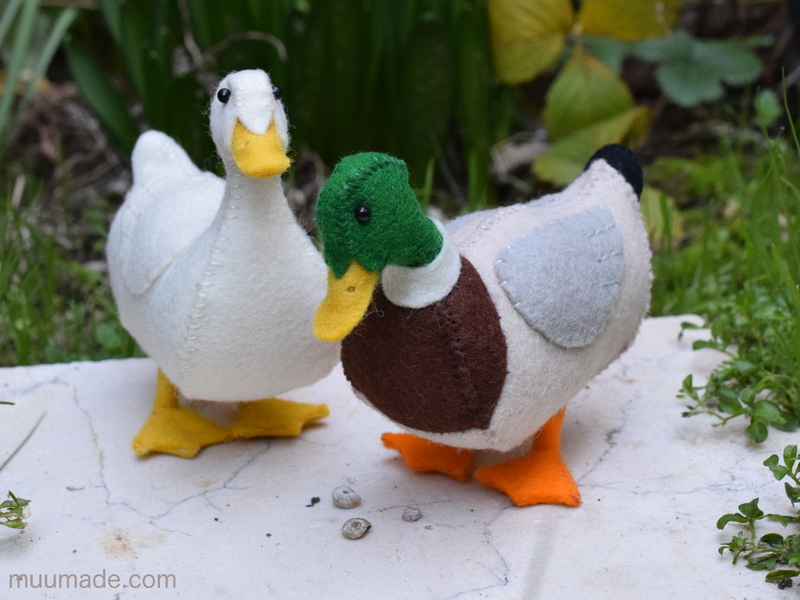 Short legs and wide webbed feet are so characteristic of ducks that I wanted to make sure to include them in the design of the Little Felt Duck. Not only are they cute, but duck’s feet are also amazing in that they don’t freeze! Do these ducky feet bring a smile to your face? 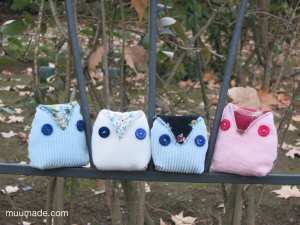 Well, they are only a few stitches away! 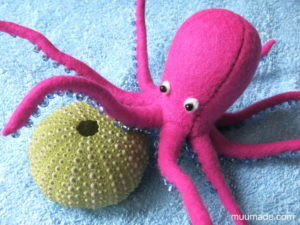 Lastly, here are some adorable ducklings that you can make for your Little Felt Duck: How to Make Pom-Pom Ducklings.